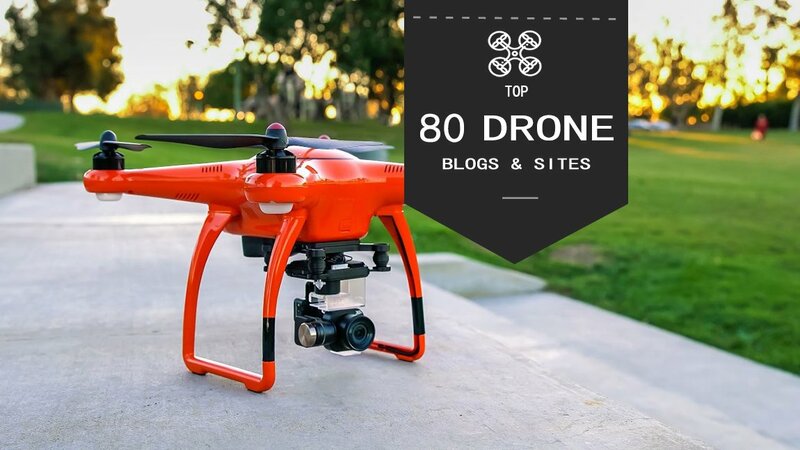 In order to help you learning more flying tips and getting more news,whether you are a drone hobbyist or beginner, we spend a lot of time to do a significant amount of research and collect 80 top drone blogs on the web or other websites as much as possible. 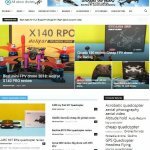 There are lots of great blogs on the web dedicated to the love of all things RC drone, including news, best guide, how to and gear reviews. 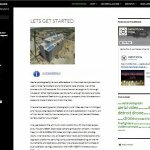 These blogs cover just about everything you need to know in order to be a responsible good drone pilot. 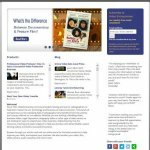 How Did We Rank Each Blog Site? 1.We just added them in the order that they were found. 2. To remove all possible bias from the order, we used DA(Domain Authority) value to rank each site. The domain authority (also referred to as thought leadership) of a website describes its relevance for a specific subject area or industry. More you can check here: Domain Authority From Wikipedia. 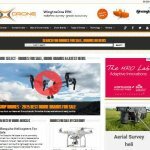 Now, check out top 80 rc drone websites list. Spacewar covers drone and UAV news across all facets of the industry. They’re one of the leaders when it comes to industry updates. Serving more than 7,500 members, “the Association for Unmanned Vehicle Systems International is the world’s largest non-profit organization devoted exclusively to advancing the unmanned systems and robotics community.” Read their news. Oscar Liang writes about multicopters, RC hobby, electronics, robotics, and website building. He goes into amazing depth with his DIY articles and projects. Gary Mortimer has put together a fantastic resource at sUAS News. He and the rest of the team continue to uphold their goal of separating facts from fiction in this ever-evolving industry. 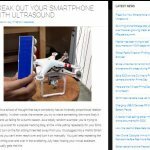 Another crowd favorite, Dronelife offers buying guides, news updates, and much more to help you navigate (as they say) the wild, wild west of the commercial drone industry. 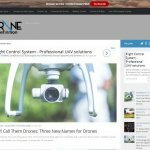 UV Online features stories from all over the UAV industry, with a nice mix of product and company updates. VideoUniversity helps people “master the art, technology, and business of video production.” Through their blog, they focus heavily on aerial videography and relaying news to their audience. Rcdronegood do a significant amount of research and collect on the web or top pilots, try their best to test drone components. After testing them we will write reviews and share our experiences on here. 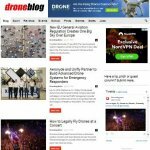 The DIY Drones blog boasts over 11,000 articles on the latest news, updates, and changes in the massive DIY community. You’ll often find relatively unknown companies getting exposure for their newest innovations. 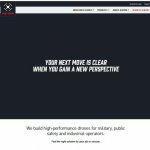 The Aero-News Network “was designed to take the vital and much-needed next step in the evolution of information sharing about and within the aerospace world.” They cover aviation news with a strong focus on UAV FAA regulations. With 17 years in multi-rotor manufacturing, Draganfly Innovations has positioned themselves as one of the top sellers of unmanned aerial systems. They cover industry news extensively. 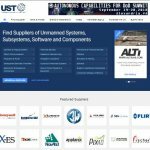 Unmanned Systems Technology is a dedicated directory of suppliers in the unmanned systems industry. They include all unmanned systems, with a news section focusing heavily on air vehicles. Dronethusiast was founded by two Drone Maniacs, Nic and Zsolt. 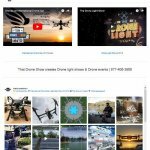 Together, they bring you tips, tutorials, news, and reviews that any drone enthusiast wouldn’t want to miss. 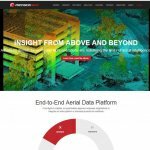 Aeryon Labs is a sUAS provider “at the center of major world events and international media stories.” For a global perspective on the drone industry, check out their aerial systems news. Our goal is to push the drone community forward — with the latest news, drone reviews, and UAV pilot training. We couldn’t be happier to share our passion for drones with you all. Like their name says, Best Quadcopter Reviews offers top notch break downs of every quad under the sun. If you’re struggling to make a buying decision, this is the place to go. PrecisionHawk offers 3D mapping and aerial data collection services to a wide range of clients. 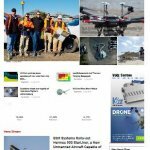 They’ve been featured in many high-profile publications, and they offer a nice curation of UAV industry news. Quadcopters.co.uk is one of the premier suppliers of quadcopters in the United Kingdom. 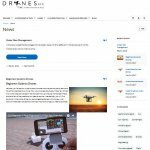 They also keep their customers regularly updated with the latest quadcopter news..
Unmanned Aerial’s UAV news articles delve into many applications for drones, including fire/rescue, agriculture, land surveying, wildlife management, real estate, visual arts and utility management. 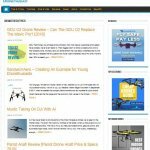 Personal Drones has been on “a quest toward the perfect quadcopter or multirotor for aerial video and personal flying freedom” since 2013, and is one of the best resources for keeping up with multirotor and quadcopter news. If you haven’t heard of MyFirstDrone or Korey Smith, you haven’t been in the community long enough. If you’ve got a question about drones, one of Korey’s articles can probably answer it for you. 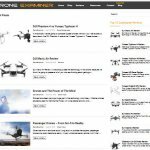 Drones etc documents quadcopter news, reviews, and updates, and even a nice quadcopter glossary. Hey everyone! it’s nice to be here and sharing useful and latest news about RC models and UAV! Anyone who is interested in RC helicopter, RC car, RC boat, or other electric products, you can share your thought with us! What’s more, UAV is also very important to us! Do you have your own drones? Tell me your story about it, that’s welcome! 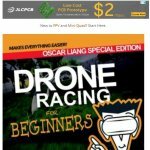 First quadcopter is an excellent resource for quadcopter and other multirotor tutorials and reviews. What sets them apart is the shear amount of drones they cover, including the latest models from almost every manufacturer. It’s a great source for pilots looking to expand their fleet of drones. 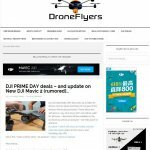 Drone Flyers not only offers great articles, but it also hosts one of the top drone forums around. If you’re looking for news, reviews, or helpful beginner’s guides, head over to Drone Flyers. 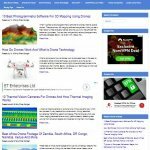 UAV Expert News features industry news, the latest products products, and the best in aerial photography and videography. 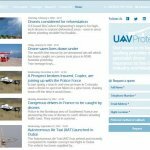 If you’re looking for UAV news that you simply won’t find anywhere else, look no further than RotorDrone. From manufacturer updates to Lady Gaga’s quadcopter dress, you will find it all here. He is a graduate of the Drone/UAV Pilot Training Certificate program and member of the Association for Unmanned Vehicle Systems International. Besides having all the necessary technical knowledge when it comes to drones, Jack and his team love to spend the time outside by the ocean, working on new features and teaching others how to pilot these amazing and exciting new robots. 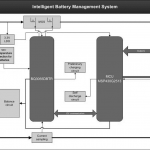 Skyward is a cloud-based information management platform that powers the global aerial robotics network. They’re a team of “professional pilots, computer scientists, and regulatory experts who are passionate about this new era of aviation.” Read their industry news. 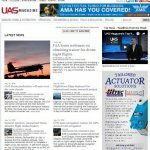 UAS Magazine is “the only quarterly publication, exclusively highlighting the most critical developments and cutting-edge technologies for unmanned aerial systems in the civil, agriculture, defense and commercial markets worldwide.” A must-read for all enthusiasts. 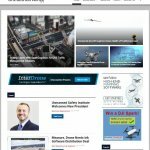 DroneZon covers UAV news across the industry. 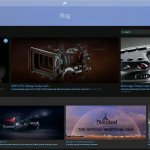 They provide great beginner’s resources, DIY videos, and drone reviews. Definitely worth checking out. Droneblog offers a whirlwind of news, industry updates, and cool feature stories about drones and UAVs. They also welcome contributors with open arms, so if you have something to say, Droneblog might want to hear it. 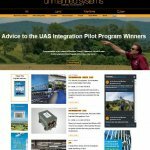 Inside Unmanned Systems provides actionable business intelligence to decision-makers and influencers in the global UAS/UAV/drone community. 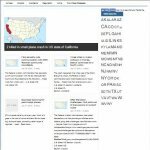 Their industry news features amazing technology insights, independent reports, and actionable evaluations. This is some advanced stuff you don’t want to miss. Living the drone lifestyle? We all are. 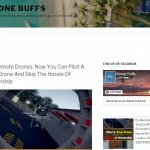 Drone Lifestyle is a news site that takes a different spin on integrating them into society. The author advocates integrating them into our entire lifestyle — even giving reasons why drones are great for teens. Patrick Meier is an internationally recognized thought leader on humanitarian technology and innovation. His blog, iRevolutions, discusses how innovation and technology are revolutionizing the power of the individual. One of those technologies are drones/UAVs. 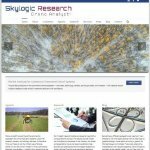 Drone Analyst is a research and consulting firm specializing in the commercial UAS industry. They provide key insights to buyers, investors, and suppliers to help them make decisions with confidence. Their UAS news is just as unique as their service. That Drone Show covers the best of the drone industry — in both written AND video format. If you really want to get into drones, don’t miss an episode! 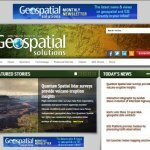 Geospatial Solutions provides news and discussion on GIS, Earth imaging and geospatial markets. Their UAS/UAV news focuses heavily on drones and their applications in GIS (and other uses). 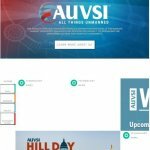 The Small UAV Coalition advocates for law and policy changes to permit the operation of small unmanned aerial vehicles beyond the line-of-sight, with varying degrees of autonomy, for commercial, consumer, recreational and philanthropic purposes. Started by two drone enthusiasts, Quadcopter Garage evolved from a place for them to post their builds and product reviews, to a resource for advice and learning. Check out their articles. As soon as you enter the QuadHangar, you’re offered a detailed overview of which drones to buy. 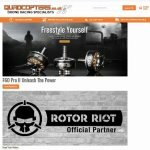 Their blog sports high quality news, quadcopter reviews, and in-depth how-to’s. Unmanned Tech specializes in providing unmanned systems for both fixed wing and rotor wing platforms. Their blog gives you the information you need in a nice, friendly tone you don’t see in most business blogs. 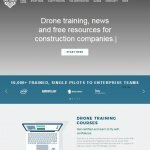 Drone Training HQ helps people find drone trainfing and UAV schools in their area, while giving you the scoop on drone schools opening up around the country (as well as other news). The UAV Digest is a 30-minute weekly podcast discussing anything and everything about unmanned aerial vehicles. David Vanderhoof and Max Flight host the show every Friday. .
Detroit Drone is a Detroit-based aerial videography company. 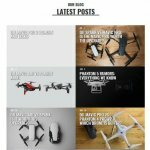 They provide news and updates on the drone industry on their blog. 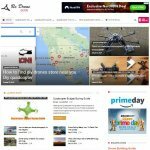 DroneBly offers loads of articles discussing drone accessories, flying tips, videos, and industry news. If you’ve got questions about which drones and parts to buy, you will likely find your answers here. Quadcopter Guide was born out of Felix‘s pure enjoyment with quadcopters. Get a glimpse of his top stories and the rest of his quadcopter articles. 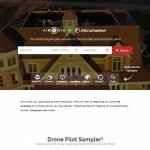 AirVid offers a valuable UAV pilot directory to help connect people seeking aerial video with drone experts in hundreds of locations. And they make sure to keep both pilots and clients up to date with new regulations and products hitting the market. 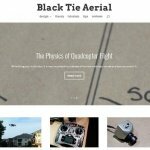 Black Tie Aerial is a “site for the most dignified multirotor enthusiasts”. Here you’ll find builds, designs, tutorials, tips, and more. Drones.org covers everything you can imagine about the drone industry. They even provide whitepapers, press releases, and job information. Jamie Brightmore is a designer and filmmaker specializing in aer­ial pho­to­graphy and video­graphy, motion con­trolled timelapse, cine­ma­to­graphy, and motion graph­ics. Jamie’s blog covers all of these topics, including his own work. The Drone News features videos from around the web. They showcase drones, their applications, and latest updates. 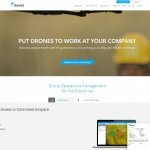 If you’re looking for total coverage of the industry, Drone Definition offers it. The future of drones, commercial applications, military drones, drone law, law enforcement drones — there’s something here for everyone. MultiRotor USA is run by Anthony, a MultiRotor builder, flyer, and enthusiast based in New York City. MultiRotor USA features drone videos, awesome build logs, a drone store, and news on the latest technology. 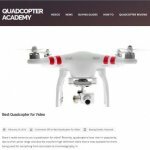 Quadcopter Blog covers a solid host of quad-related topics, including micro quadcopters, mini quadcopters, nano quadcopters, and tri-copters. If you like a certain style, you’ll probably find articles about it on this blog. FPV Blog features everything to do with first person view quadcopters. 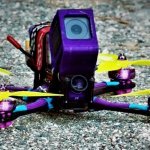 Videos, builds, gear, quads — Crashpilot has you covered. Drone Examiner writes about drone reviews, news, and manufacturers. But they will also paint, assemble, program, and calibrate your drone. That’s some service! Drone Select is a hub of useful drone and quadcopter knowledge. 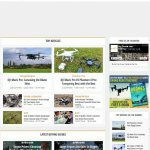 It’s packed with reviews and walk-throughs for all kinds of drones and accessories. Skyvantage offers experienced aerial video and photography services. Their blog features news as well as how drones are being used for marketing and other business purposes. 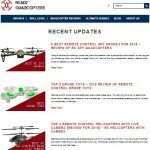 Quadcopter HQ gives out quadcopter reviews and drone information. 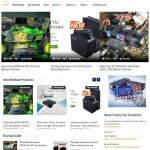 This site specializes in helping you pick the right quadcopter and making sure you know when new products are launched or regulations change. 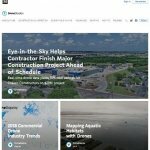 Justin Edwards started DroneAbove to showcase his aerial videography/photography and explore new technology and techniques related to drone operations. Read his blog for first-hand reviews and opinions on the drones you’re probably using. 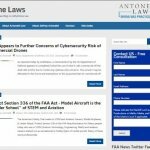 The Drone Laws Blog, by Antonelli Law, covers FAA approvals, petitions, and regulations that every pilot or aspiring pilot should be aware of. 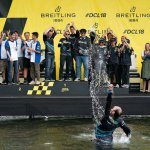 Rcfpvplane.com is an independent and authoritative source for RC Hobbies, include Quadcopter, Drone, RC Car, RC Helicopter and Airplane industry news and information. We focused on the latest news, guides, product reviews, videos, and unbiased perspective. Ready Quadcopters provides some of the best product information around. Their goal is to “bring quadcopters to the masses,” and they’re doing it in a big way with their blog. 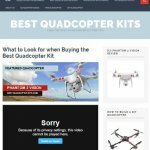 Looking for the best quadcopter kit? This site has you covered. It will walk you through features, pros, cons, and pricing options for each kit. Miami Aerial offers aerial video and photography services. They provide multirotor news for the beautiful state of Florida. A large part of the UAV industry’s future rests in the FAA’s hands. Every enthusiast is interested in the regulations they roll out. FAA Daily will tell you about it whenever it happens. 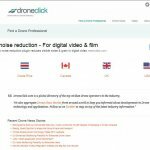 DroneClick is a directory of professional drone operators. They curate every news article from some of the top blogs in the industry. Want to keep up with what the best blogs are saying? 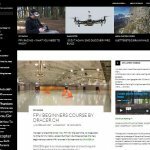 Quadcopter Academy was founded by David, a drone enthusiast who saw a need for quality advice in the industry, and decided to do something about it. He’s focused on helping you find the best quadcopter that you can afford, along with videos, industry news, and how-to guides. 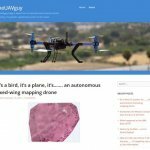 Iain Butler runs theUAVguy, a blog covering UAV industry news, its growth, and applications. You will find personal anecdotes about UAV expos, photos, and more about Iain’s experiences in the industry. 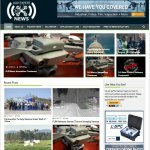 Totally Unmanned covers a variety of UAV news, including agriculture, charity, emergency services, infrastructure, and logistics. They focus on how these drone applications affect society today. UAV Protect offers worldwide UAV insurance. Their news features a mix of the latest FAA regulations, aerial videos, industry news, and, of course, UAV insurance! 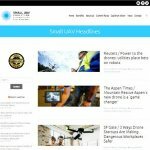 If you’re looking to get your news fix and learn about insurance for your rig, head over to UAV Protect. 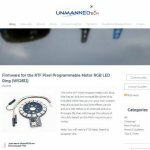 Drone World is a hand curated source for quadcopter/multirotor news and reviews from around the globe. They feature news from personal, commercial, and military drones. 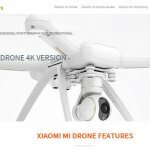 Xiaomi drone with 4k camera for both professional photography and recreational purposes. Know more about Xiaomi drone from here. 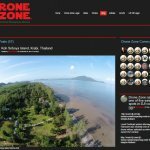 The Drone Zone is a club for drone enthusiasts and aerial photographers. 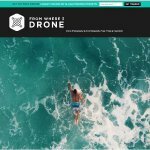 Their members regularly post content, and the site features videos, photos, and news related to drones. 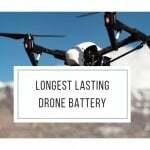 Tend To 100 Drone Blogs? 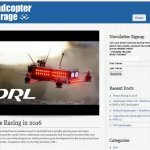 I spent a ton of time on collecting these rc drone blog sites. It’s my hope that you find it useful. And please feel free to leave your website on below comment to show off your proud blog. Or share it on your Facebook, Twitter, Pinterest, Google+ etc.